This month will be a celebration of the 5th month since I moved to Barcelona. I decided to move here so my girlfriend could study at her university at UPF and I had been looking for work since we made the decision to move here and I handed my notice in at my previous employment back in England (where I had spent 10 years). We moved to a flat in Barceloneta, just a stones throw away from the beach and from the moment we moved in we had a sense of the area never sleeping, with tourists and locals frequenting the local bars, restaurants and cafes which are located everywhere around the area until the early hours of the morning. 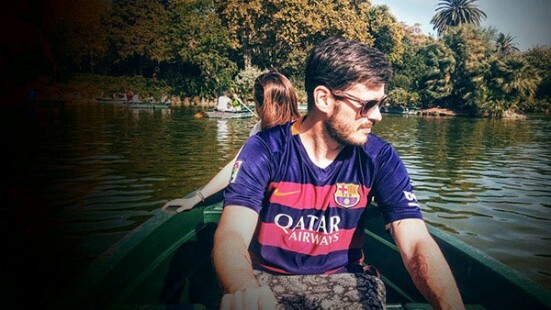 My perfect day in Barcelona happened just a month after moving here. I had a job interview with a company who specialise in printing and embroidery services, and I instantly knew after turning up and meeting the owner and the staff that I wanted to work there. It had a friendly atmosphere that was a mixture of busy, on the go and chilled with friendly staff. 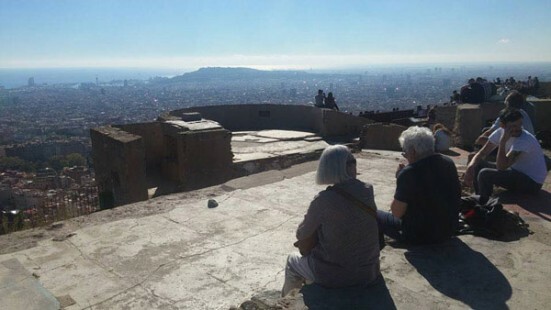 A few days after the interview my girlfriend and I decided to visit Bunkers del Carmel, which is located at Carrer del Turó de la Rovira, not far from Park Güell. We decided to begin our adventure at Parc de la Ciutadella where we were amazed by the gorgeous fountain – and the dog that was bathing in it! After spending time walking around and taking in the beautiful weather we decided to rent a boat. In Ciutadella you can rent the boats for 10€ and you get 30 minutes to ride around a decent sized lake. It was busy so we ended up knocking into various other people but it was all good fun and everyone was able to raise a smile each time someone knocked into them. From Ciutadella we opted to then get the metro from Barceloneta to Maragall where we’d swap onto the blue line and then continue to El Carmel. From here we took a slow walk around and took in the sites from around the area. 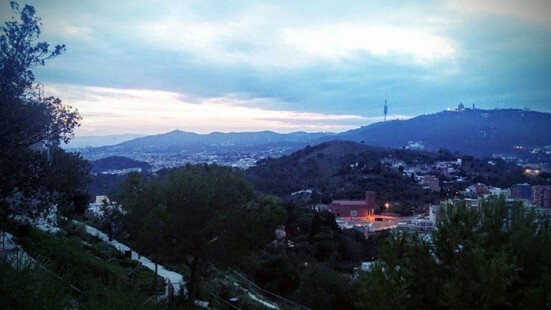 The area is beautiful, placed on top of a hill you can get breathtaking views from between houses and see what looks like the whole of Barcelona perfectly framed between two brick buildings. We’d heard that the views at the top of Bunkers del Carmel were incredible and we knew that if the view on top of the bunker was anything compared to the views you can get just walking around the area then it was definitely a worthwhile trip. As we was walking we noticed a staircase which was on the side of the road and, more guesswork than actual knowledge, we decided to head up the stairs and continue climbing until we saw what we believed was the abandoned bunker. The climb up the hill was difficult, it’s steep and the staircases can be very narrow but once we reached the top of the hill our breath was taking away and we were left speechless by the view we got of the whole of Barcelona. From the top of the bunker it put everything into perspective, looking down on sites such as the Sagrada Família and being able to see from the bunker right down to Barceloneta on one side to the mountains on the other. Looking at the layout of the streets in Barcelona and generally appreciating the decision to move to this beautiful city, for some reason being on the bunker made me realise that the decision we made to come here was the right one. We decided to open the pre-packed picnic, which we took with us, which of course included a few cans of Estrella, and we found an empty spot near a group of Spanish people who were playing the guitar and singing. Sitting there eating and listening to the music being played around us it would have been so easy to miss the phone call that I was receiving at that moment in time. I answered the phone to find out that I had got the job and that I would be starting work the following Monday, which completed what had been a perfect day. We decided to stay at Bunkers del Carmel and watch the sun go down on the whole of Barcelona and watch the houses and street lights come to life as people finished their work day and returned home. We decided it was time for us to go back to Barcelona so we walked down the hill (this time using the gradual slope rather than attempting the staircase in the dark) and found the bus stop which is located at the bottom of the hill. The bus turned up fairly quickly and we jumped on and sat down for the 30 minute or so journey back home. 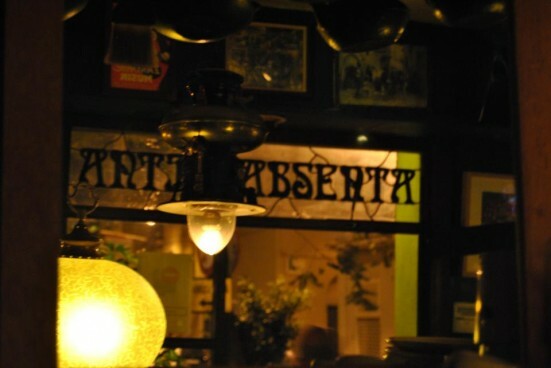 When we got back we went for some food and a quick drink in the Absenta Bar which is a local bar right next to our flat. We’d been here a few times since moving and got to know the friendly bar staff and made a few English friends along the way. We ordered a bit of tapas which included patatas bravas, nachos, olives and a selection of cheeses – all of which were finely prepared and delivered to our table without much of a wait. The food was lovely, the nachos had a beautiful cheese sauce which was prepared in-house by mixing a number of different cheese together with jalapeños and it had a beautiful taste to it which was just the right amount of spice and if you’re in the area and fancy a quick snack – I’d recommend the nachos to anyone. We washed this down with a couple of Amstel beers and decided to make our way home commenting that the day literally couldn’t have gone any better. 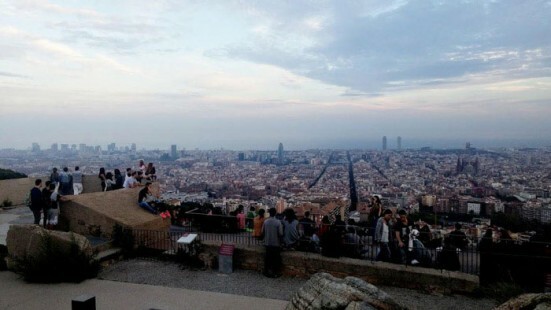 Since this day Bunkers del Carmel has become our favourite location in Barcelona. We’ve now been there 3 times and will definitely be going back in the future. We’ve had friends and family come to visit and we always recommend taking a trip there to see the stunning sites and I’d highly recommend it to anyone who is in need of something to do for the day. 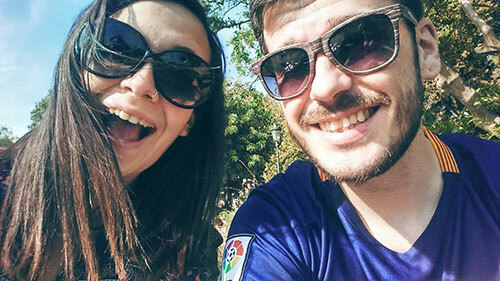 Chris left his job in the UK and moved to Barcelona with his girlfriend so she could continue her studies. He now lives by the beach, so it wasn’t such a hardship, and works for GarmentPrinting.co.uk, who specialise in printing and embroidery services from right here in Barcelona. If you’d like to write your ‘Perfect Day in Barcelona’ then please get in touch via the email address at the bottom of this website. I’d love to hear from you. The more we have the better!